STEALTH 18" Socket Rail with 1/2" Twist Lock Clips is our most versatile socket organiser. Made in the USA. Simple and Secure. 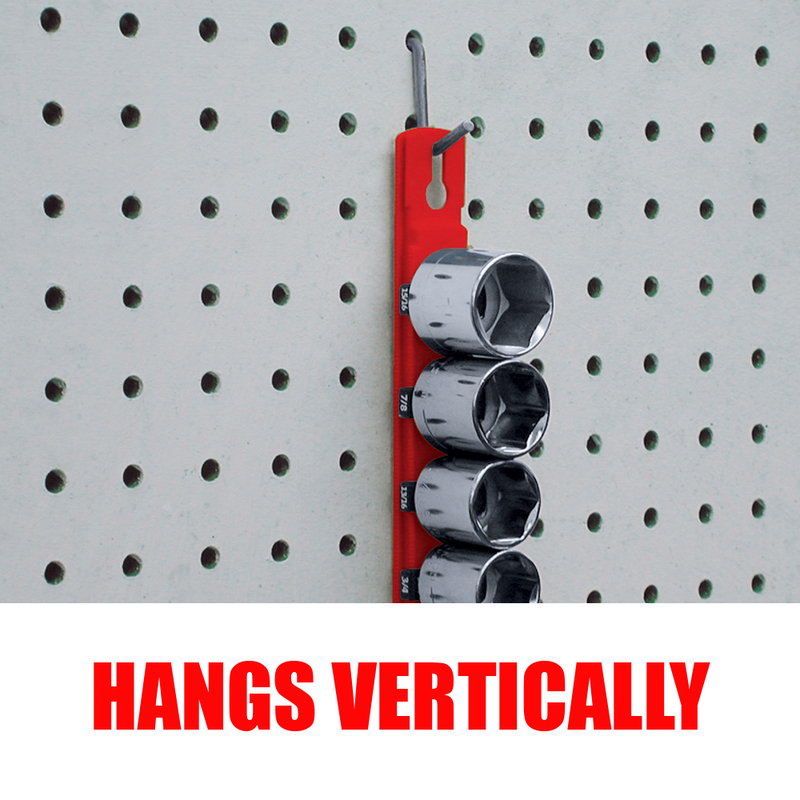 Makes sockets easy to transport. 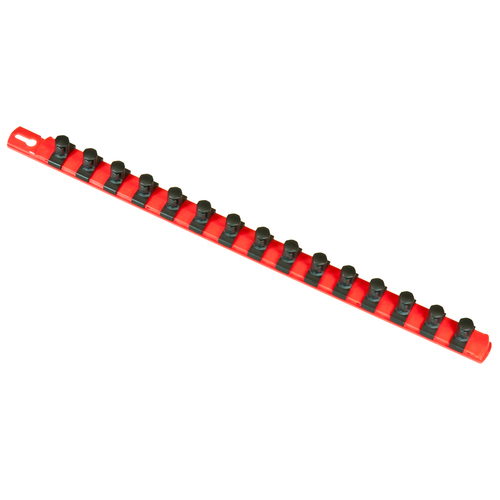 Add and insert sockets on any part of the rail. 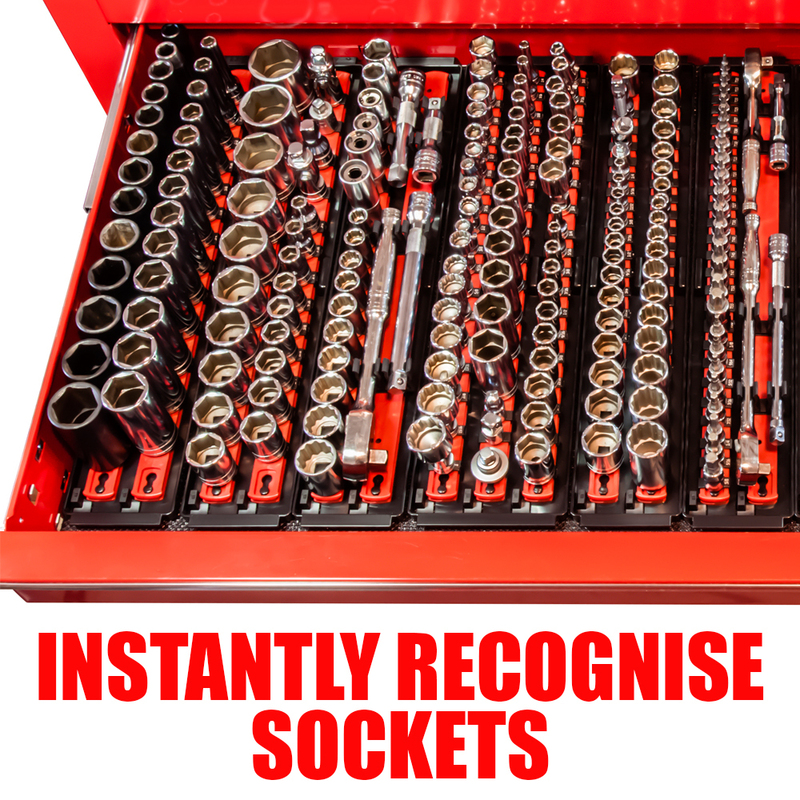 An -affordable solution to socket storage. 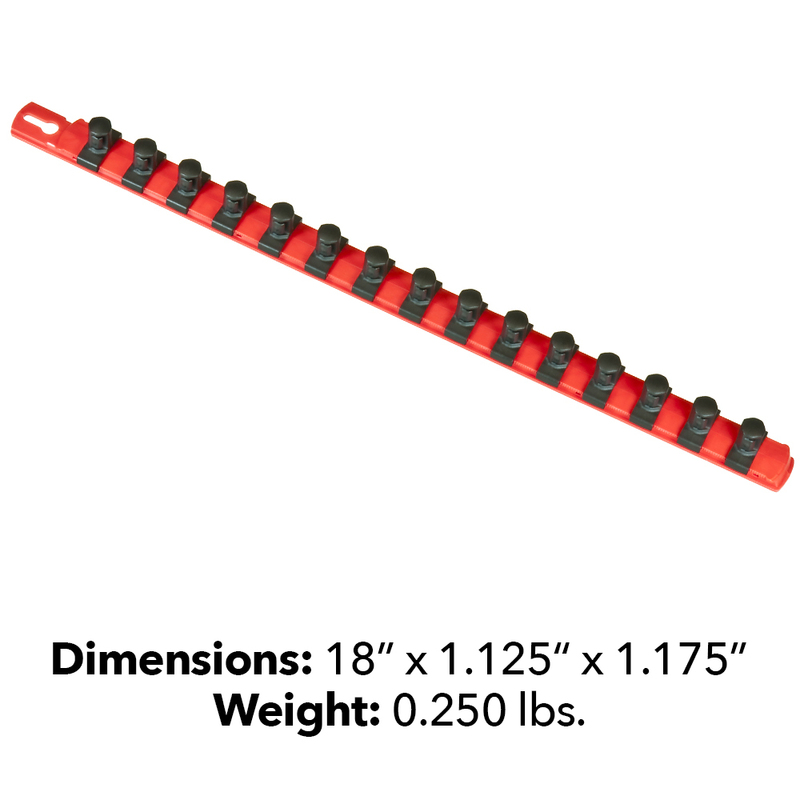 From our most versatile socket organiser line, this 18" Socket Rail comes with 15 x 1/2" Drive Twist Lock socket clips. 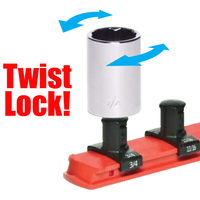 The Twist Lock clips still provide all the versatility you have come to expect and now with "stay put" security. 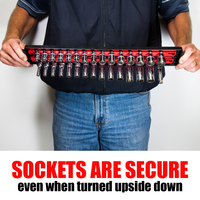 With a simple twist your socket are firmly secured in a locked position. 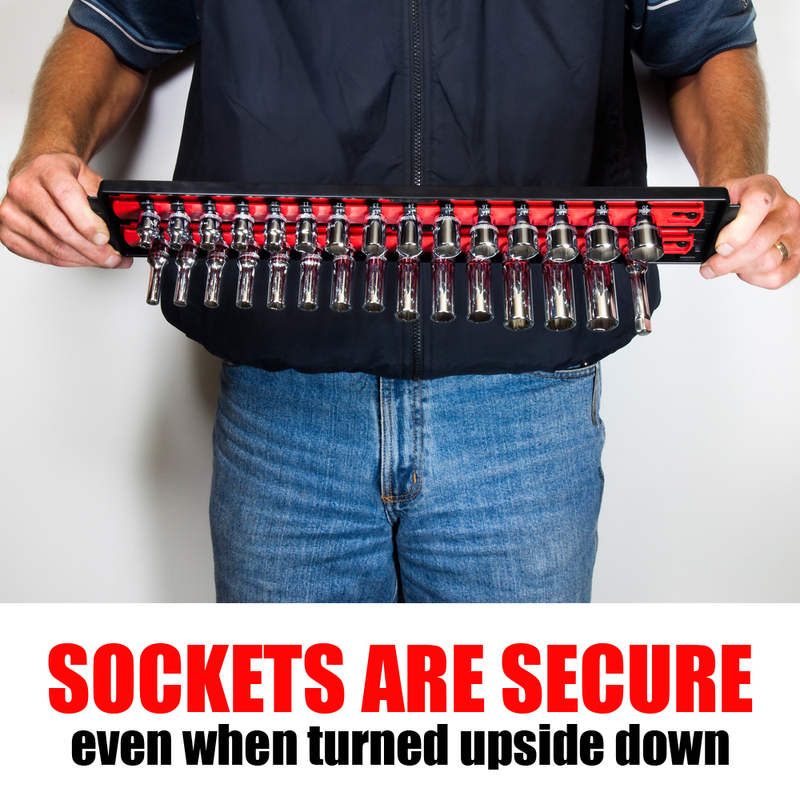 Twist in the reverse direction and your sockets are free to remove. 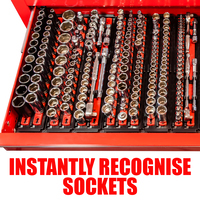 The tension is a perfect medium so you do not have to fight with your sockets to lock themThis socket organiser is very tough. Simple and Secure - twist your sockets into a locked position. 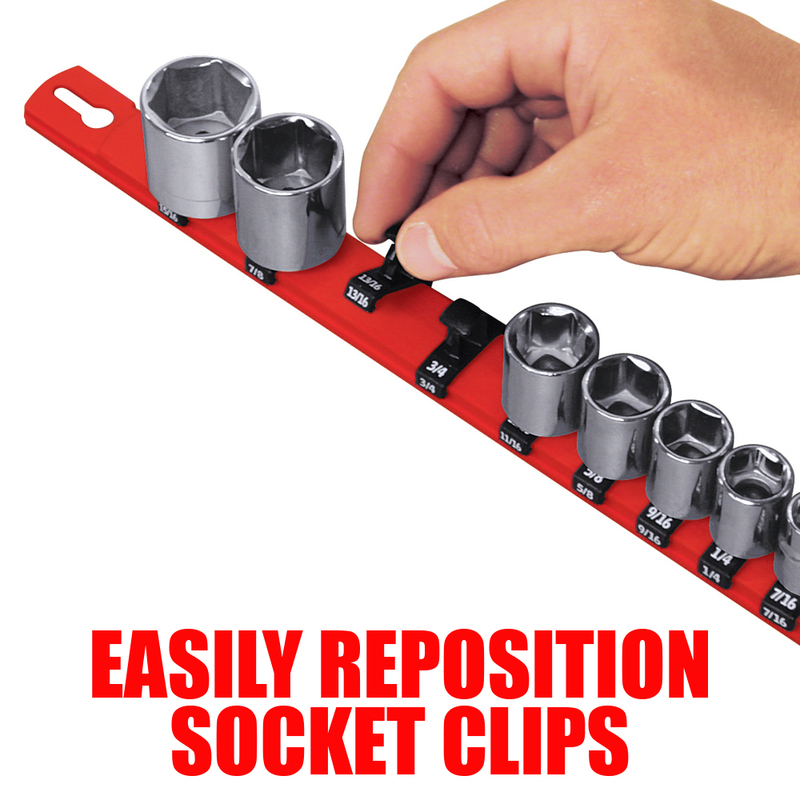 Socket clips will adjust to any position; easily add and remove sockets to the rail. 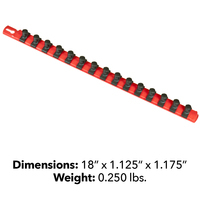 Comes with 96 ID Stickers (metric and imperial). Can be used with either socket trays or magnetic kits. Add, remove and insert clips on any portion of the socket rail to fit your custom set of tools. Socket clips click into place, can be easily repositioned and installed between previously placed clips. 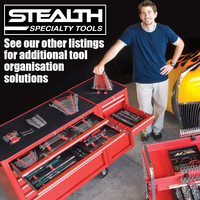 No other socket storage item on the market will provide this amount of options. 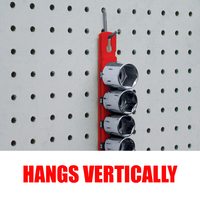 Integrated design will work with our other great products.